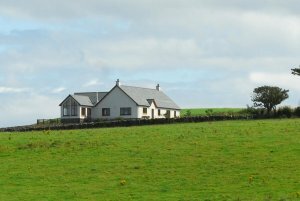 A large, spacious, detached self catering holiday cottage on Scotland’s west coast near Port Logan. 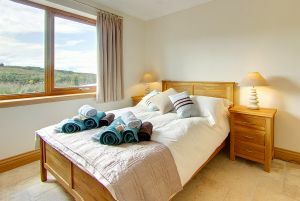 Set on a hillside with spectacular sea views Inchmalloch provides luxurious and stylish five star self catering accommodation for up to 10 people in one of the most scenic areas of Dumfries & Galloway. Inchmalloch House was designed to make the most of its very special location. 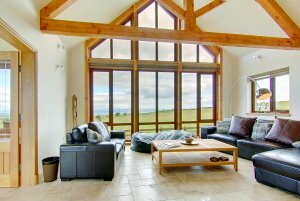 With huge windows and a vaulted ceiling the house is filled with space and light and floor to ceiling windows make the most of the stunning sea views. Four bedrooms, three bathrooms and lots of social space all on one level mean there’s plenty of space to relax and enjoy the company of friends and family. Time seems to move more slowly in this part of the world and staying at Inchmalloch House will help you rediscover mornings as they are meant to be. Picture yourself waking up to the sounds of the peaceful countryside, as the morning light breathes life into the landscape surrounding you. Pop a log on the wood burning stove, make yourself a leisurely coffee and treat yourself to a gentle start to your day. Lounge: A large, light, bright room featuring a wealth of beautiful exposed woodwork in the vaulted ceiling and floor to ceiling windows with beautiful sea views. Enjoy the easy to use Contura wood-burning stove, a 42 inch LCD wall-mounted television with Sky package including movies, sports, children's and Discovery channels, a DVD player and a music system with an iPod connection. Garden Room: A room that’s made for relaxing. 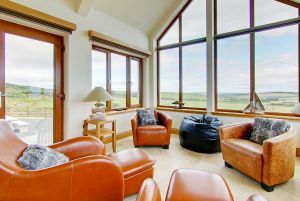 Patio doors open into the garden and there are fantastic views through the large floor-to-ceiling windows. Dining / Kitchen: Finished in walnut this modern kitchen includes built in gas burner hob, integrated double gas oven, microwave, wine cooler and a dishwasher. 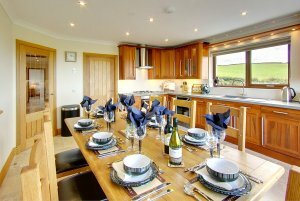 Dining Area: Comfortably seats ten and enjoys fabulous views of the surrounding countryside. Utility Room: Fully equipped with a washing machine, tumble dryer, oil-fired boiler and a stable door to the back porch. 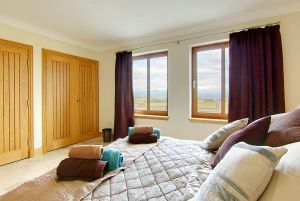 Master Bedroom: Luxurious king size bed and en-suite shower room. 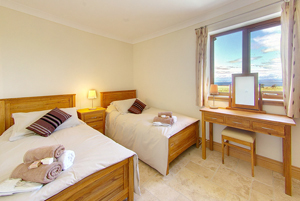 Double Bedroom: Spacious bedroom with an en-suite shower room. Two Twin Bedrooms: Offering spacious, flexible accommodation and with the addition of two z-beds total sleeping capacity can be increased from eight to ten people. 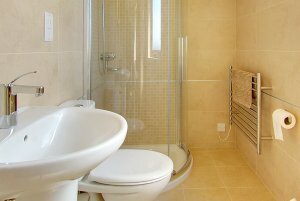 Main Bathroom: A joy to use, with a large, contemporary, luxury free-standing slipper bath and a pebble-shaped stone sink. Patio: Accessed from the Garden Room, comfortable outdoor furniture and a barbecue will help you make the most of the outdoors. Garden: Inchmalloch has a large enclosed garden with ample parking. Access Ramp: An access ramp is situated at the rear of the house making this property a good choice for people with mobility problems. 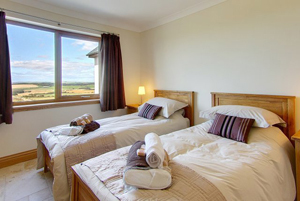 Comfort: Inchmalloch is tiled throughout with underfloor heating and double glazing for comfortable, warm year-round occupation. Pets: Inchmalloch is a Pet Free Cottage, pets are not allowed.